2017, The year in review. What a year 2017 has been for the Saint Louis music scene and to be so close to the action this year has been more than amazing. I owe a huge debt of gratitude to all of you who take the time to read and share and like the content that I am lucky enough to provide for Midwest Rewind. I have been asked to provide my year in review for 2017 and am honored to do so. This article will contain my ten favorite images and the reason why each is on the list. Thank you all so much for your support this past year and for the future. Please enjoy my top images of 2017. 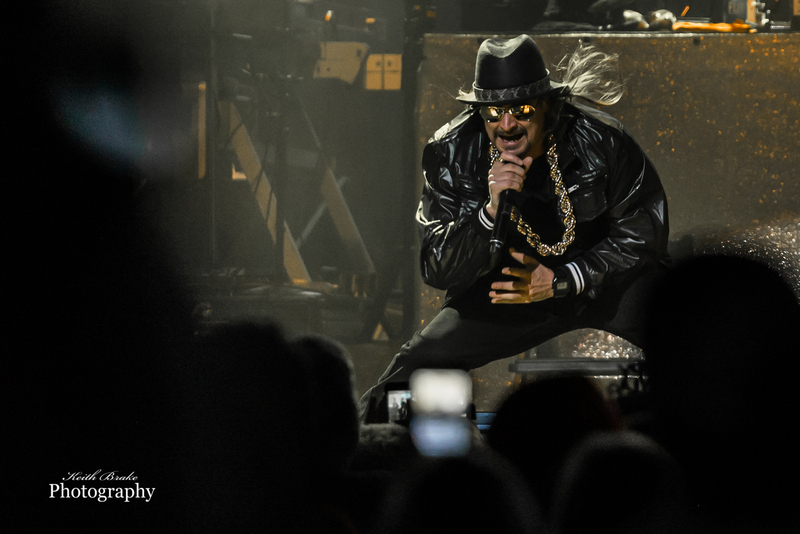 #10 Kid Rock…Well it seems very fitting that this image starts off the countdown to my year in review as it is from the very first show I covered for Midwest Rewind. Kid Rock’s New Year’s Eve bash at Scottrade center, nothing like starting the new staffer off slowly. This image was noticed by Kid Rock and was shared to his social media where it received great response. The image is Kid thru and thru, big gold chain swinging, sun glasses wearing, straight up preaching to the masses. A wonderful image to start my tenure with a new publication. Kid Rock. Photo by Keith Brake Photography. 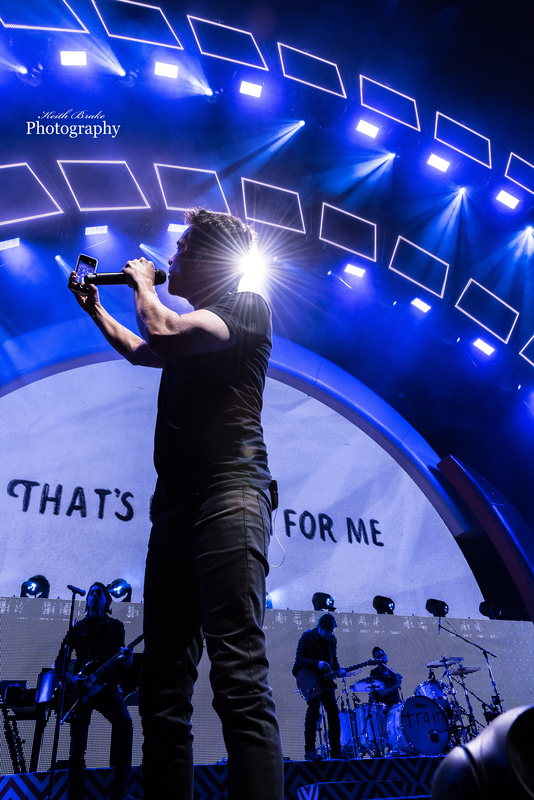 #9 Pat Monahan of Train…This Image found its way onto my list not for quality but rather content, the moment captured. Monahan roamed the amphitheatre stage from side to side singing “If It’s Love” while catching fans’ cell phones, taking a selfie and then returning the phones all while singing in time and key. I will always remember how elated the fans were and how impressed I was at such a trick that lasted thru more than a few songs. Pat Monahan of Train. Photo by Keith Brake Photography. #8 David Boyd of New Politics…New Politics is a high energy live band and none more energetic than Mr. Boyd. Capturing the moment at which only David’s head is in contact with the floor while break dancing is what makes this picture jump out to me. I shot quite a few shows in 2017 but captured no other images of an artist on their head. David Boyd from New politics. Photo by Keith Brake Photography. #7 El Monstero…The image of El Monstero stands out to me as a favorite because of the magnitude of what was captured. The powerhouse Pink Floyd tribute band has long been a Saint Louis favorite because of this magnitude combined with stellar musical prowess. The image shows the incredible lengths the band takes to provide their fans with a true “Floyd” experience. Dancing girls, Lasers, Giant LED screens and of course the St. Louis Philharmonic Orchestra was there for this show. When I see this photo it reminds me of the first time I witnessed the spectacle that is El Monstero. El Monstero. Photo by Keith Brake Photography. #6 The Urge…Ahhh, The Urge. Upbeat rock/ska awesomeness that you just gotta see and hear to understand the magic. 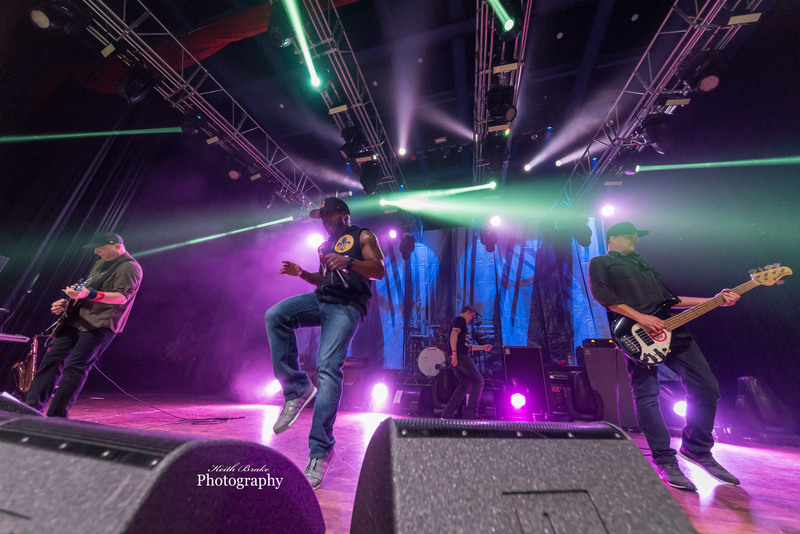 Front man Steve Ewing is a livewire on stage and he never slows down, running, jumping singing and dancing. I enjoy this image for several reasons. First and foremost Steve is in the middle of a dance move so that’s super cool. Combine the subject matter with a cool perspective and pastel color palette and you get an image that will likely end up on my wall in print. PTMFUS!! The Urge. Photo by Keith Brake Photography. 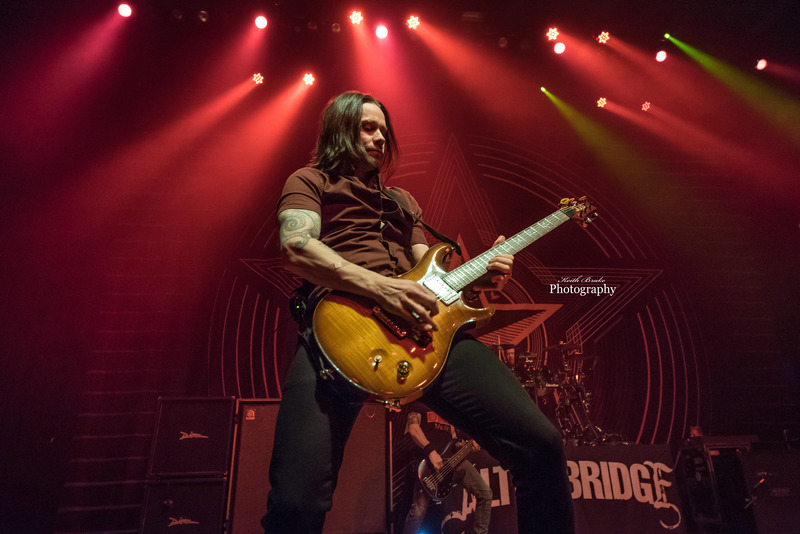 #5 Myles Kennedy of Alter Bridge…Myles has long been a favorite vocalist of mine so the fact that this image comes from the first show of Alter Bridge I ever shot would probably be enough to land it on my list. With that said there are some elements of this image that I really enjoy. The perspective of this shot is very pleasing to me as well is the mood of the image, he looks so relaxed while rocking out, but it is the rich red backdrop that pushes this image over the top for me. Myles Kennedy from Alter Bridge. Photo by Keith Brake Photography. 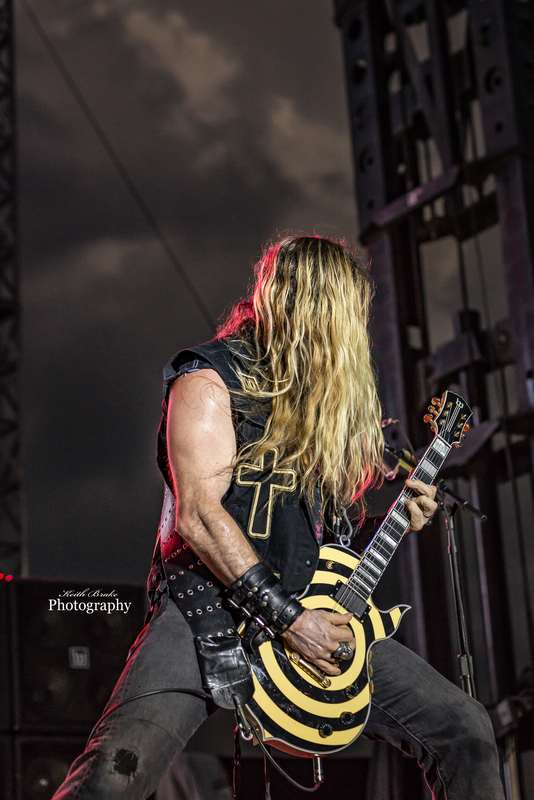 #4 Zakk Wylde…I covered Zakk several times this year and had a few images of him to choose from but this one is the winner and my 4th favorite image of the year. Zakk is an amazing guitarist and every time I watched him this year, he was simply amazing. Everything about this image is quintessential Zakk, the sleeveless leather, The bull’s-eye guitar, hair in the face and just shredding. This image is special to me for many reasons but the largest being he was on stage with “The Prince Of Darkness”, Ozzy Osbourne, during an eclipse, enough said. Zakk Wylde. Photo by Keith Brake Photography. 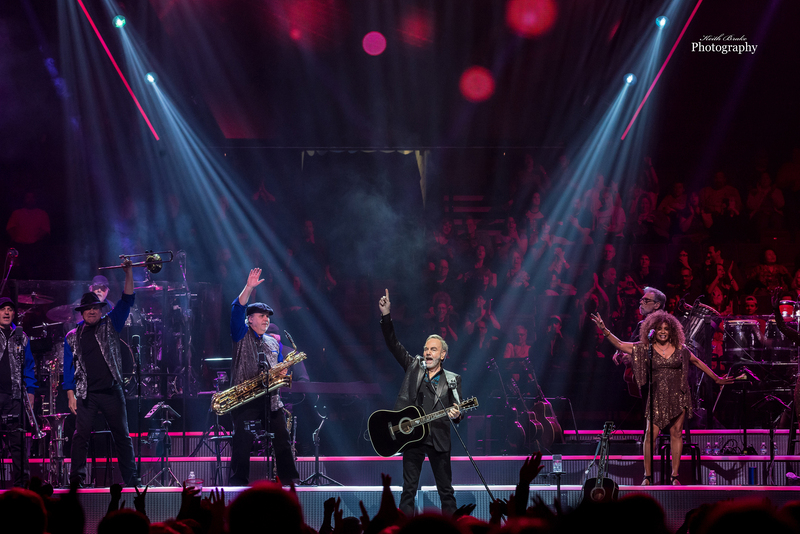 #3 Neil Diamond…To say that Diamond is an Icon is an understatement. I was in attendance for his 50th anniversary tour where I captured this image of Neil. There are many things about this image that I enjoy, the intersecting spot lights, the element of the crowd appearing in the shot but mostly, it’s Diamond himself. 50 years in the business and over 70 years old still absolutely amazing and can still steal our ladies. This image brings back to memory the moment when myself, my wife and a packed Scottrade Center all sang Cracklin Rosie with the man himself. Neil Diamond. Photo by Keith Brake Photography. #2 Chad Gray of Hell Yeah…I have loved this image of Chad since the moment I shot it. The Vibrant colors in the background almost look like the stage was on fire. The perspective of the shot as it captures a crouching Gray in mid scream with engorged veins on display upon his forehead. Chad has been going 110% every since his days of fronting Mudvayne and has never let one single audience down. This image was a true competitor for the #1 spot as I feel the image is very solid both artistically and technically. While Chad and Hell Yeah did use some of my other images on their social media platforms in 2017, this photo has remained close to my heart. 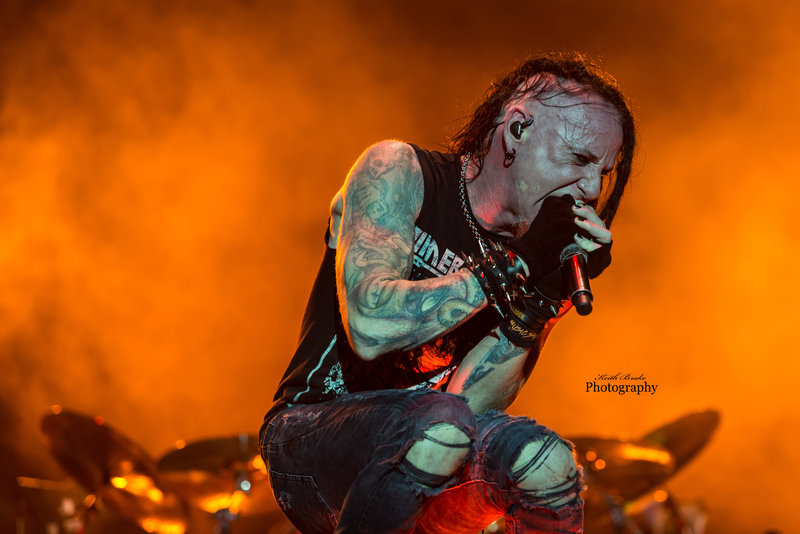 Chad Gray from HellYeah. Photo by Keith Brake Photography. 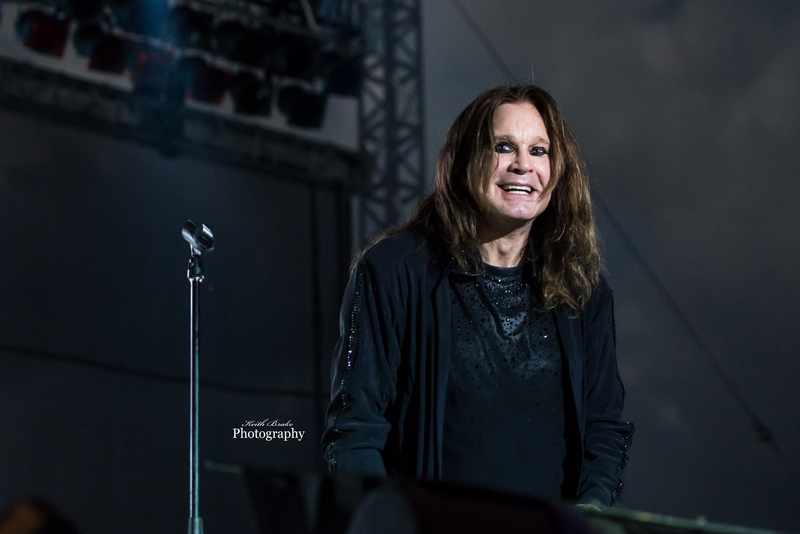 #1 Ozzy Osbourne…This image is no doubt my favorite of 2017. This picture of Ozzy represents more than just a photo to me, but lets discuss the image itself first. First of all, Ozzy is smiling and looking like he is having fun, and I LOVE that. In the background notice the dark clouds and sky, so when people will ask “where were you during the moment of totality in 2017” I will answer in a photo pit photographing “The Prince of Darkness” sing “Bark at The Moon” . I was one of about 25 people who can say this, I shared the pit during the Moonstock music festival with amazing photographers from all over the country and made some lasting friendships. Photographers were given one song to work, no more. All of the us worked that one song and when it was all done, we just looked at one another, only then did we realize what we had just done, it was a phenomenal feeling and one I will never forget. Ozzy Osbourne. Photo by Keith Brake Photography. Well, there you have it, my favorite shots and moments of 2017. I hope you all have enjoyed the images and reviews as much as I have enjoyed doing them. Stay tuned to Midwest Rewind in the future, as I have a feeling some of the best is yet to come.